Highlights from the "Worldwide Troop Talk" with Defense Secretary Ash Carter, who answered service members' questions about changing personnel, pay, compensation, and retirement. Defense Secretary Ash Carter told troops and veterans Tuesday that he's looking at some large-scale reforms for the military's personnel system, but he made clear that he feels careers in uniform should remain distinct because not all civilian-sector solutions will fit the military. "For us to keep recruiting and retaining the best, the military has to be an attractive place to work," Carter told thousands of veterans gathered at the American Legion National Convention in Baltimore. That requires recognizing "the generational reality that some young Americans aren't satisfied with industrial-age career tracks," he said. "They want to 'jungle-gym' careers, where you advance by moving around and having new experiences; not an escalator, where you get on and wait your turn." Also on Tuesday, Carter held a "worldwide troop talk" from a TV studio in Maryland in which he responded to questions from service members and referred to the "Force of the Future" review that the Pentagon is wrapping up. "I've got a whole lot of ideas. We're going to sift through them. 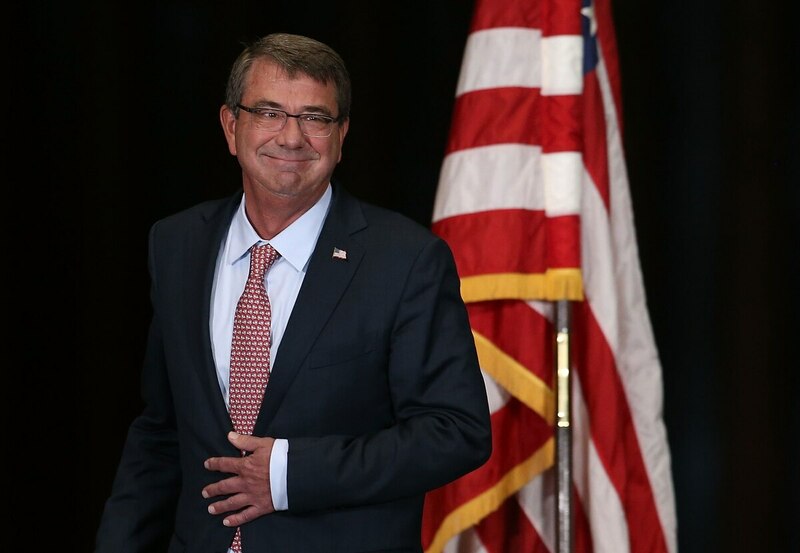 You know, some of them are ideas that are being employed in civilian life," Carter said. "Military life will never be like civilian life. Military life is the profession of arms, so it's different. That doesn't mean we can't learn things, though, from what other people are doing around society, that we don't need to look up and look around and be aware. That is what I mean by the force of the future," he said. Carter is reviewing a comprehensive slate of personnel reforms that could substantially change the way the military services recruit, pay, promote and manage the active-duty force. He ordered the sweeping review of personnel policies shortly after taking over the Pentagon's top job in March. According to a draft copy of those recommendations obtained by Military Times, the proposed changes include increasing basic pay for certain high-demand career fields, offering cash bonuses to some high-performing individuals, ending traditional "up-or-out" rules for officers and creating more flexible regulations to make it easier for troops to move in and out of the active-duty force over the course of a career. Carter may be able to make some of those policy changes unilaterally, while others likely would require approval from Congress. During the troop talk, an airman asked about proposed changes to retirement benefits. Carter said the new benefits package that is nearing approval on Capitol Hill is designed to appeal to today's young people rather than simply save money. The proposed change to the military retirement benefit would shrink the size of the pension by 20 percent but also give nearly all troops some government cash contributions to individual retirement savings accounts. The proposal also would, for the first time, provide a retirement benefit to troops who separate before reaching 20 years of service. "The reason to look at the retirement ... it's really not money," Carter said. "It's building flexibility in because we think people value flexibility in their careers, and they don't necessarily want to think in a block of 20 years. They may want to think in different blocks. So we want to give them that kind of discretion." He also stressed that the proposal would offer all of today's service members a grandfather clause if they choose to stay under the current system; only future recruits would be required to accept the new package. A pregnant soldier asked Carter about maternity benefits, noting that the Navy recently expanded maternity leave to 18 weeks, while the Army's policy remains at six weeks. Carter said that in the military, "we are going to march in lockstep," and indicated that the other services are reviewing maternity policy. The Force of the Future recommendations drawn up by the Pentagon's Office of Personnel and Readiness include several key changes to family-related policies, including 18 months of maternity leave for all troops and a rule that would put new mothers on a no-deployment status until their youngest child is one year old. Carter said those moves are designed in part as a retention tool. "Most of you are family people," Carter told service members. "I don't want you to have to choose between your family and serving us. So, except where, you know, the considerations of combat effectiveness require otherwise, we'd like to give you the room to have your family. Because we want you to stay with us." Defense Secretary Ash Carter talks about the strategy of defeating ISIS on Sept. 1 during a "World Wide Troop Talk."